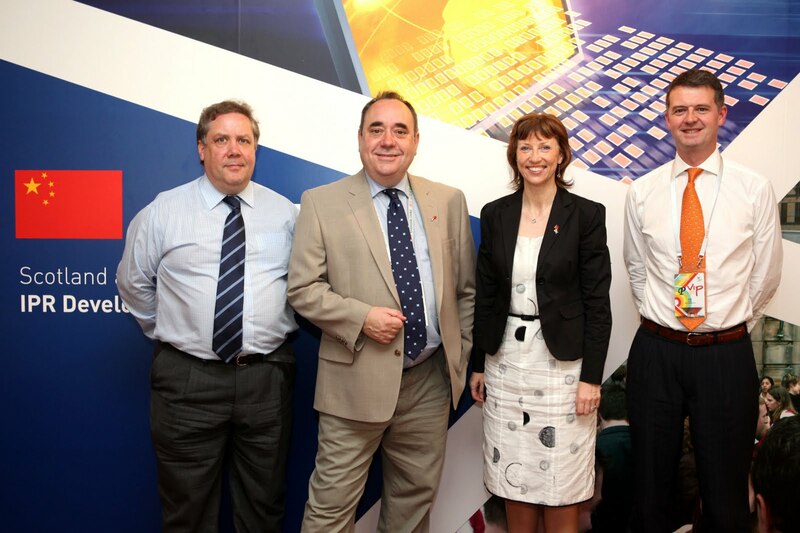 SCOTTISH companies must protect their most valuable innovations if they are to make the most of the huge opportunities offered by China’s fast growing economy, First Minister Alex Salmond told business leaders today. In an address at the Shanghai Expo on intellectual property rights in China, the First Minister said firms can protect themselves against loss of revenue, loss of reputation, and loss of competitive advantage by learning more about the IPR environment in China before entering the market. There are a considerable number of Scottish companies doing business in China in sectors including energy, electronics, education, oil and gas. The latest Global Connections Survey statistics show that exports to China in 2008 increased by over 15 per cent compared to the previous year and the country is now the fifteenth top export destination for Scotland, valued at £295 million. The First Minister, the Scottish Council for Development and Industry (SCDI) business delegation, SDI textiles mission and VisitScotland tourism group are undertaking a series of engagements, workshops and receptions in China this week to further strengthen business links and demonstrate Sino-Scottish opportunities in sectors including financial and business services, tourism, life sciences, food and drink, education and culture. 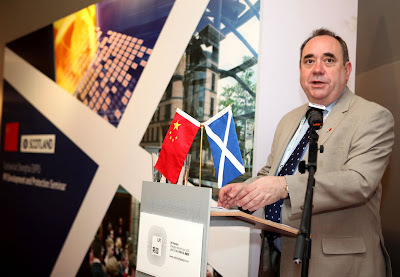 First Minister Alex Salmond (pictured above) said: “The Scottish Government and Scottish Development International are supporting a significant Scottish presence during the Shanghai Expo to help raise Scotland’s profile in China as a key destination to live, work, visit and do business. “There are significant links that already exist between our two nations and the Scottish Government is committed to strengthening ties with China, which this year is set to overtake Japan to become the world’s second largest economy. “China’s growth presents major economic opportunities and the presence of three trade delegations this week reflects the increasing number of Scottish firms that are exploring new opportunities to do trade in China. “Scottish Development International, in partnership with key partners such as SCDI, is working with Scottish universities as well as companies and firms and organisations throughout China to identify and realise partnership and investment opportunities. “There are many fine examples of Scottish success stories in China, such as Clyde Blowers, Erdington Group, Martin Currie and Standard Life. And to lay the foundations for success in this market it is important to take adequate steps to protect IPR. “The Scottish Government and Scottish Development International are committed to ensuring Scottish businesses can successfully access the Chinese market and offer advice and assistance on how best to IPR. Planning an effective IPR strategy can ensure important decisions are taken quickly and reduce the risk of losing control of intellectual assets. “Scottish businesses can take steps to protect themselves against loss of revenue, loss of reputation, and loss of competitive advantage by learning more about the IPR environment in China before entering the market. There are currently 736 Ayrshire business stories permanently archived on this site. To locate those of most interest to you, please use the site search facility in the top left hand corner of this page. Type your search term in the white box, then click the magnifying glass symbol.